Maymyo Hill Station, now the town of Pyin Oo Lwin, is perhaps the one place in Myanmar where the relics of British presence remain strongest. When the British conquered Mandalay in 1886, then the capital of Burma, they found the sweltering city to be too hot for their taste. They searched around for somewhere nearby with a more moderate climate. 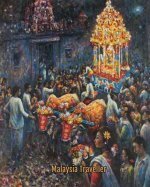 Maymyo, just 42 miles away, at an elevation of over 3,500 feet above sea level, fitted the bill and the entire machinery of colonial government in Burma decamped to Maymyo every summer. 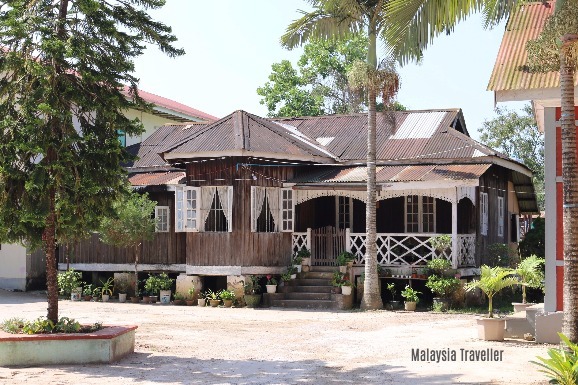 A railway was built to connect the town to Mandalay, jungles were cleared and the British set about filling their summer capital of British Burma with Victorian and mock Tudor mansions, a golf course, a botanical garden and all the comforts of home. One British civil servant wrote that Maymyo was ‘more like a corner of Surrey than of Burma’. That may be pushing it but modern day Pyin Oo Lwin certainly has a pleasant feel to it. Unlike those other hill stations of South Asia such as Simla or Murree where buildings are cramped together and perched precariously on cliff edges, Maymyo is situated on a flattish upland plain with plenty of space for horticulture, homes and gardens. 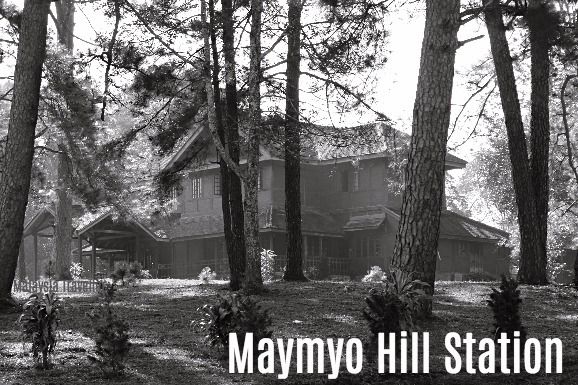 After independence Maymyo reverted to its pre-British name of Pyin Oo Lwin which means something like ‘pleasant hilltop meadow’. 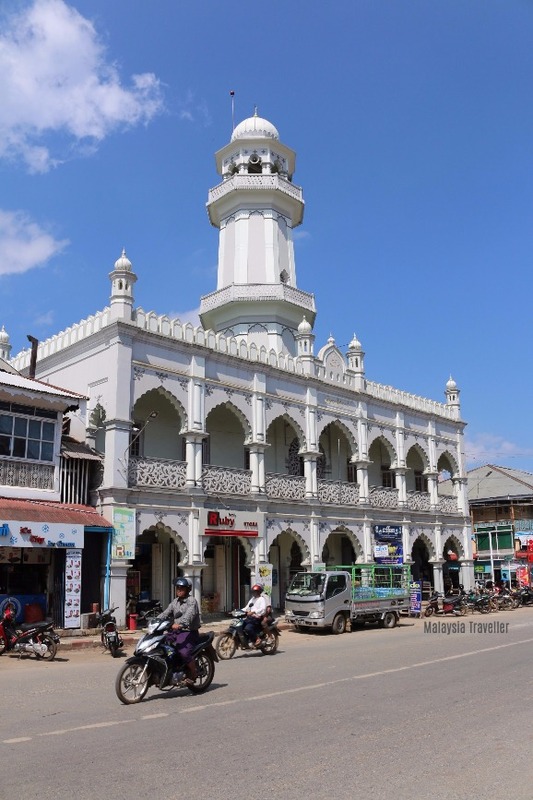 Maymyo (May Town) was named after Colonel (later Major General) James May of the 5th Bengal Infantry who commanded the garrison there in1886. I tried to discover a little more about my namesake May during my visit to Pyin Oo Lwin to see if he might be a distant relative. All I could find was the above photo on display at the Governor’s House. From his tall and dashing looks I would say we are not related! We know from his record at the British Library that he was born in 1837 and died in 1903 and that he was decorated for service in the Indian Mutiny 1858, the Bhutan Expedition 1864-65 and Burma 1886-87. 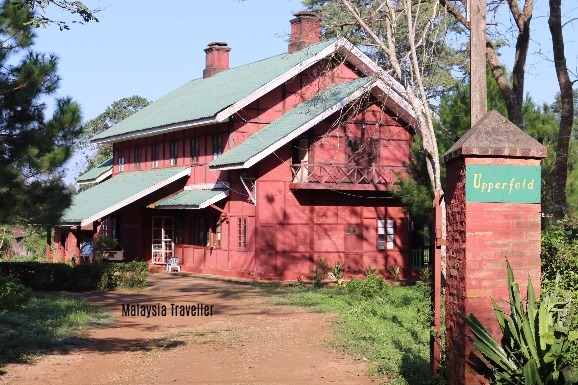 The Kandawgyi Hill Resort, formerly a colonial style house, now a fine hotel. "In stepping out of the [railway] carriage [in Maymyo], you step into a different hemisphere. Suddenly you are breathing cool sweet air that might be that of England, and all around you are green grass, bracken, fir trees and hill-women with pink cheeks selling strawberries." 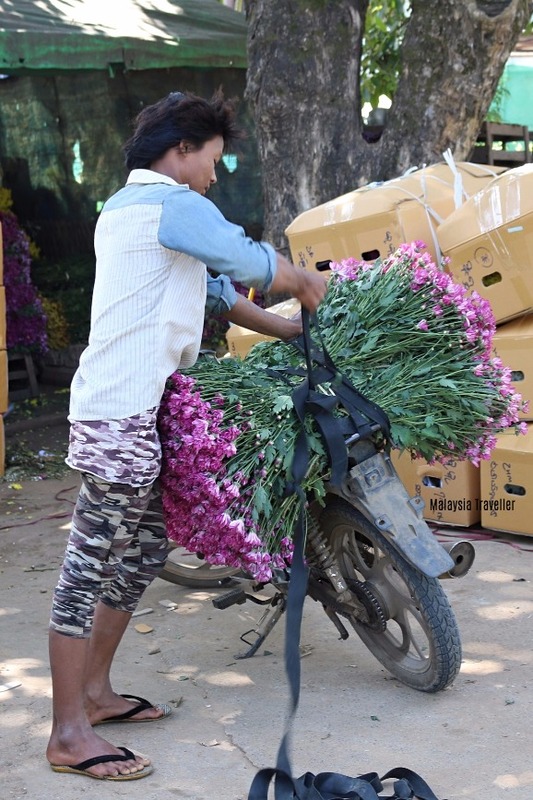 Walking around the town today you can still enjoy the scent of flowers and blossom while strawberries remain one of Pyin Oo Lwin’s main products. As for the pink cheeked hill-women, nearly every woman I saw was wearing the yellow-beige paste made from the ground bark of the thanakha tree which protects the skin from the sun and helps to give Burmese women their fine complexions. 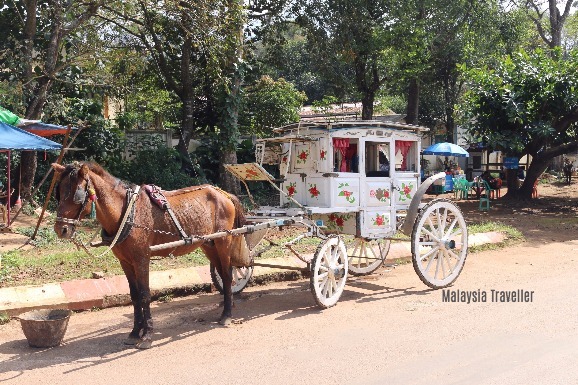 A quaint means of transportation here is the myin yahta, a horse-drawn carriage that resembles a miniature stagecoach, which was introduced during the British era. 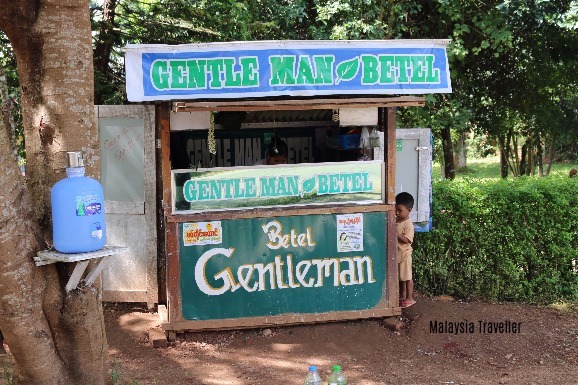 They now mainly cater for tourists (mostly local) and courting couples. Betel nut chewing is the most popular vice in Myanmar and the red stains from spitting the liquid are splattered everywhere, even down the sides of vehicles when the driver spits out of the window. Some of the cottages and mansions have maintained their typical British house names, such as this one, Upperfold. 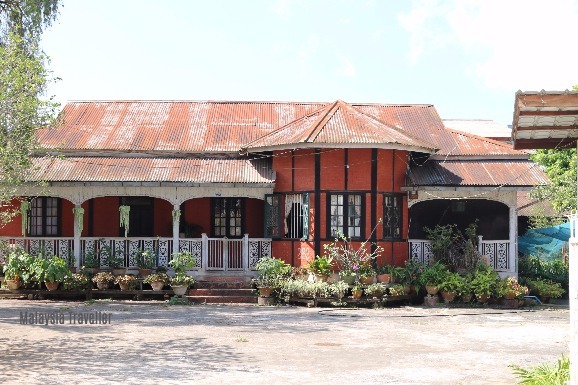 Charlotte Wheeler-Cuffe, who helped to design the National Kandawgyi Gardens was brought up in a house in England called Upperfold so perhaps this was her residence in Maymyo. 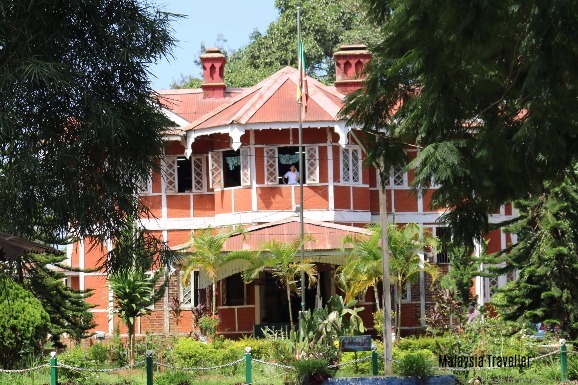 Candacraig is the most famous colonial building in Pyin Oo Lwin. 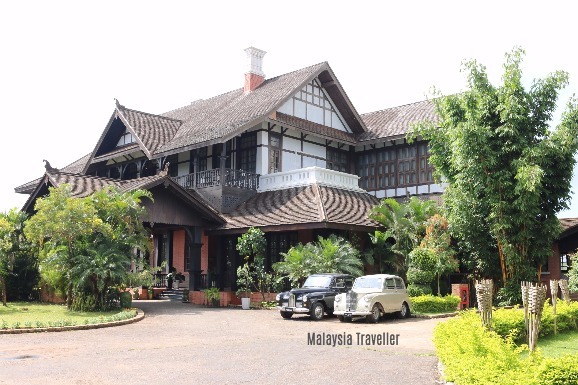 It started out in 1904 as the chummery (bachelors’ mess) for the Bombay Burma Trading Company and has since served as a hotel, most recently under the name Thiri Myaing Hotel. As at October 2017 however it is closed for renovation (again). It has seen better days but the garden is still being maintained so hopefully it will reopen one day. 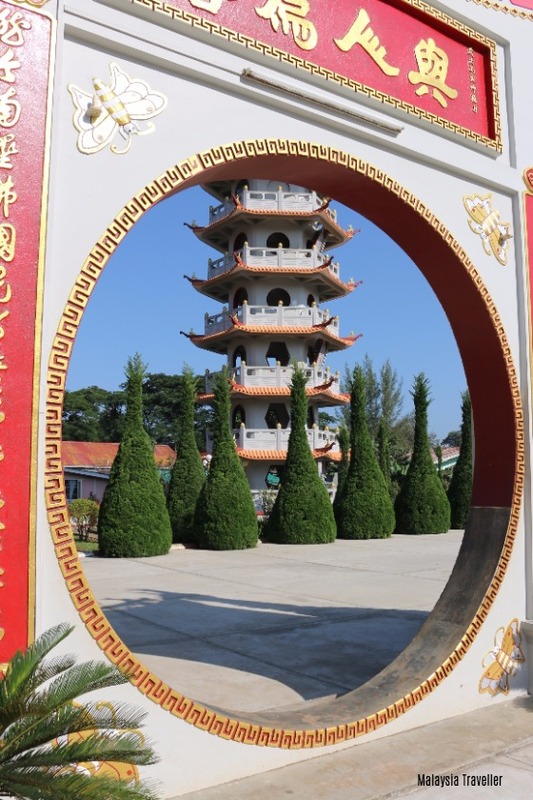 Pyin Oo Lwin is on the main road from Mandalay to the Chinese border so it is not surprising that there is considerable Chinese influence in this area. This is the main Chinese Buddhist temple in town. 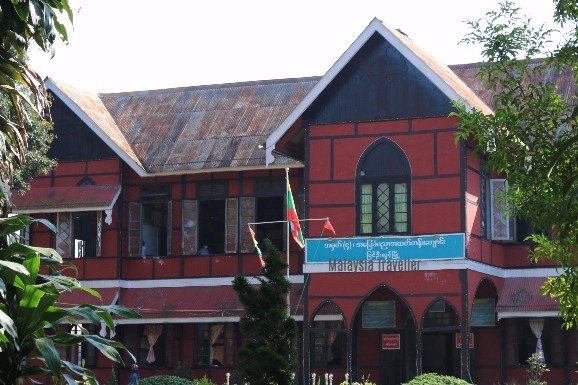 There are a number of historic looking schools in Pyin Oo Lwin, some of which were founded during the British times. This one, No. 4 Basic Education High School, also goes by the name St. Michael’s Diocesan School. 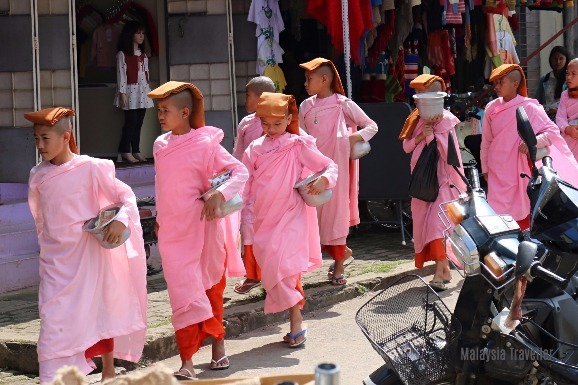 As elsewhere in Asia, great emphasis is placed on education in Myanmar. 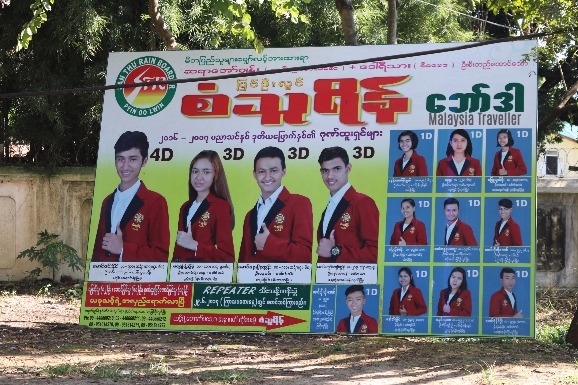 Despite being a ‘socialist paradise’ private high schools seem to be booming and in Pyin Oo Lwin there are a number of billboards boasting of the high achieving exam results of star students at these schools. This old nissen hut, no doubt of British design, appears to have been converted into a church. 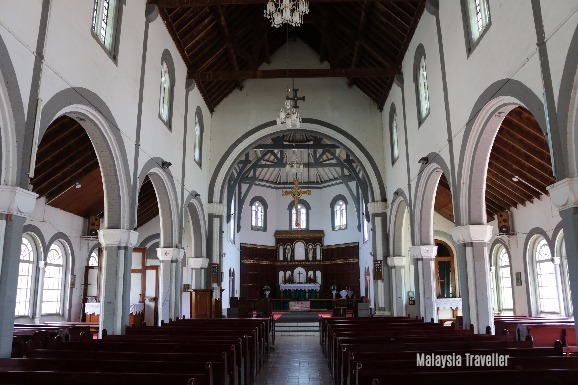 Talking of churches, Sacred Heart Catholic Church started out life as a Protestant church. Opposite is the Maymyo English Cemetery which I will write about separately. 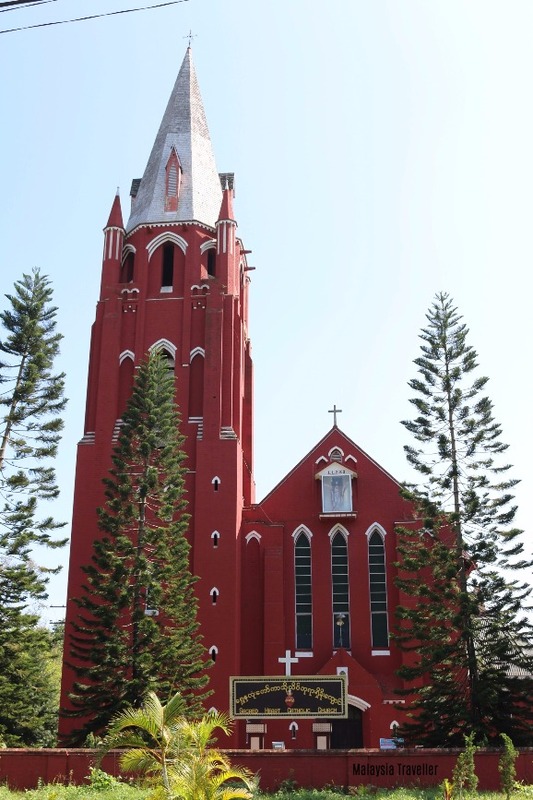 The main Anglian church in Maymyo was All Saints Church which was built in 1912. 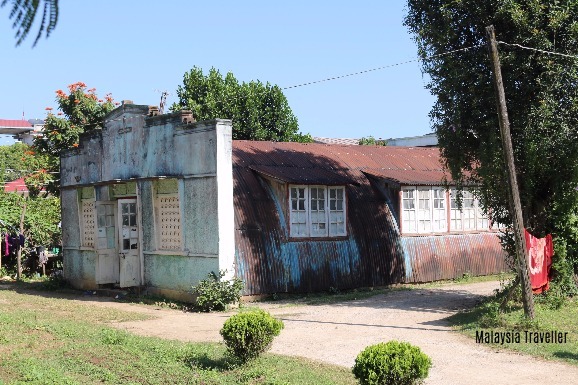 It is still in use and looks much the same except the original roof tiles have been replaced by corrugated iron. Inside it looks in fine condition. A number of plaques commemorate the British regiments which were at some time stationed in Maymyo such as The Welch Regiment, The 10th Gurkha Rifles, The Kings Own Scottish Borderers and The Queen’s Own Cameron Highlanders. 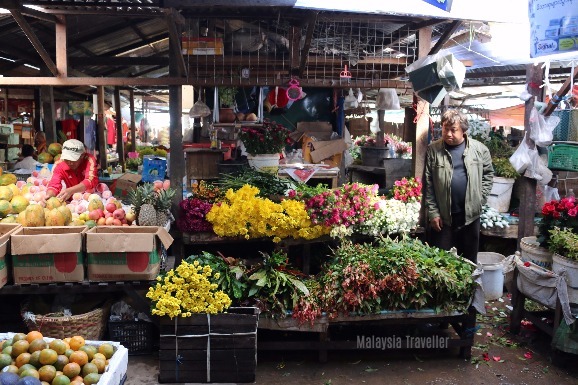 The Shan market sells a great array of fruits, vegetables, flowers, lungis, clothing and accessories. Horticulture is big business in this area. There are vineyards too and local winemakers are striving to improve the quality of their output. 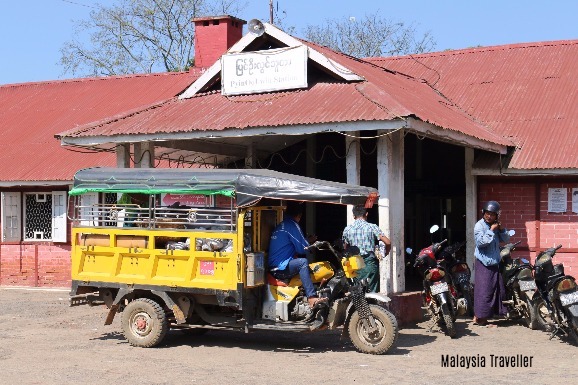 The railway station is another relic from colonial times. I’ll write about this in more detail in a future post. The town centre has more modern buildings but none above four storeys. 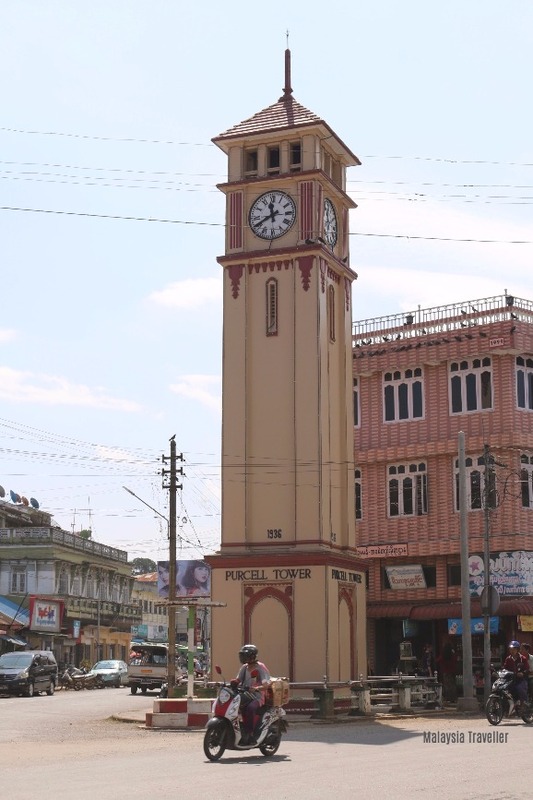 Purcell Tower is still a focal point, a clock tower inscribed with the date 1936. 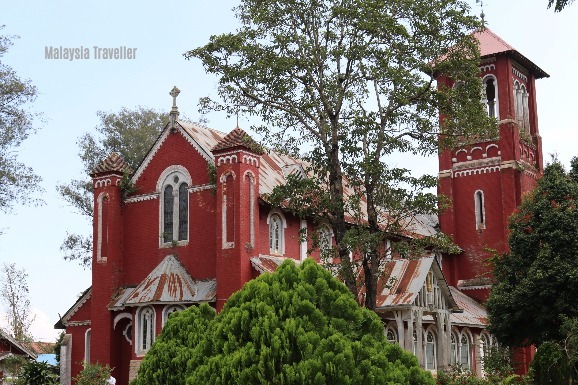 It was erected to commemorate the Silver Jubilee of King George V.
Bands of pink-robed novice nuns make regular alms collections around town. At the general market I noticed stall holders were dropping items such as 3-in-1 coffee sachets, pieces of fruit, and low denomination banknotes into their begging bowls. They are photogenic but do not seem to like being photographed. 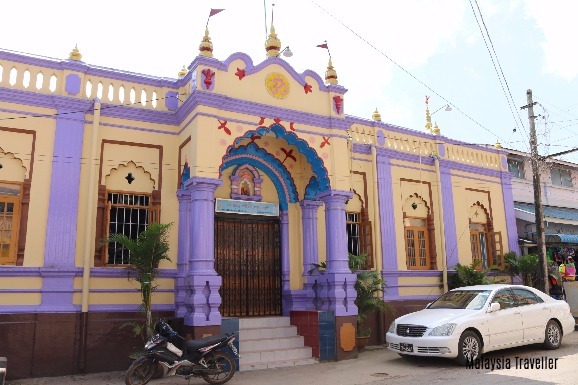 Although this part of Myanmar is overwhelmingly Buddhist, there are Hindu temples and mosques in town, in addition to the churches already mentioned. 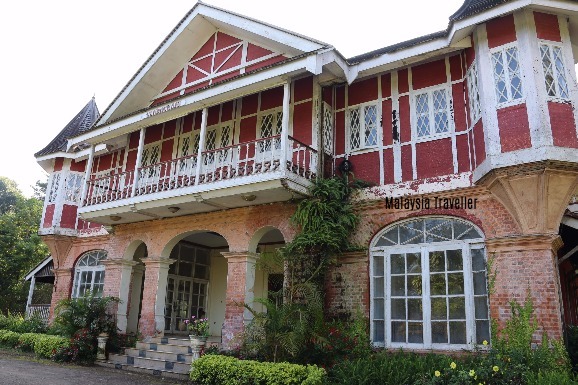 Governor’s House is a replica of an original built between 1903 and 1905 used as the official residence for British Governors up until 1942. The building was completely flattened by Japanese bombing in 1942. In 2005 this replica was built based on old photos and paintings of the original. In my opinion they have done a very good job. The main building is open to the public but can also be rented out to stay. 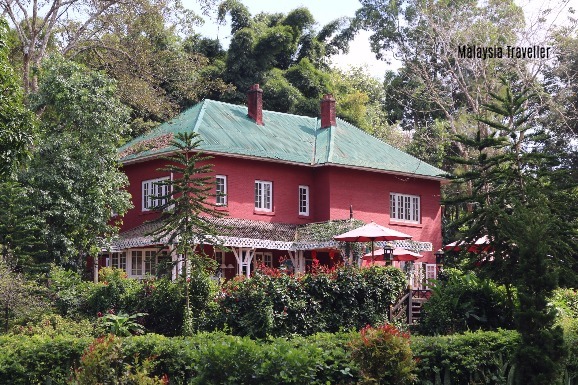 It has 5 suites, an indoor pool and a bar and can be hired for US$ 1500 per night for the whole house including breakfast which I suppose is not bad if you have a large group wishing to mark a special occasion. You have to share the house with waxworks of the former governors though which might get a bit creepy in the middle of the night! The annexe building has a mini-museum and a tea / ice cream shop. To read more about Pyin Oo Lwin attractions you can take a look at this informative website. I stayed at the Royal Parkview Hotel which is well located and has a bit of character, but there are a number of other heritage hotels in town. 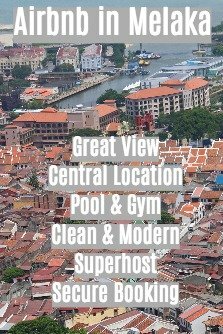 To view a selection at discounted rates please check the Agoda advertisement below.